According to sources within the aerospace industry, rocket engine manufacturer Aerojet Rocketdyne laid off an estimated 65 of its workers this past week. The decision to close out these positions comes at a time when the company is recovering from issues encountered with the aerospace firm’s AJ26 rocket engine, which was involved with the loss of Orbital ATK’s Antares booster and its payload of a Cygnus spacecraft bound for the International Space Station. 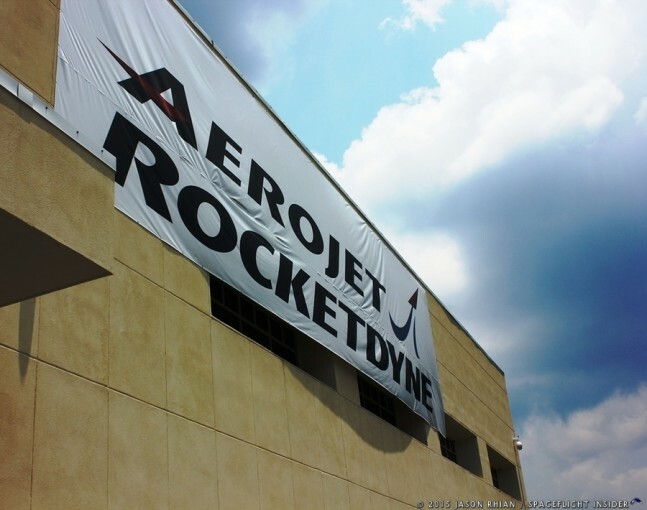 In 2013, AL.com reported that Aerojet Rocketdyne could bring as many as 5,000 new aerospace engineering jobs to Huntsville, Alabama, the location of NASA’s Marshall Space Flight Center. However, since that time, several events have transpired that appear to have altered the company’s trajectory. The Sacramento Bee reported on March 9 that the company was planning on laying off as much as 10 percent of its workforce, including as many as 250 jobs at its Sacramento facilities alone. This is coupled with proposed plans to cut back as much as 40 percent of its office space and manufacturing assets. The report goes on to detail that the rationale behind these layoffs as being designed to increase efficiency and cut costs. Late in 2014, an Orbital ATK Antares booster, with its Cygnus CRS Orb-3 spacecraft payload, malfunctioned approximately 12 seconds into its flight, due to an apparent issue with the turbopump of one of the two AJ26 rocket engines that powered the launch vehicle’s first stage – causing the complete loss of both the booster and the automated Orb-3 cargo vehicle. Orbital ATK has entered into the $1.9 billion Commercial Resupply Services contract with NASA to utilize Cygnus to ferry cargo and crew supplies to the space station. Since the loss of the Orb-3 mission, the company has begun working with United Launch Alliance to use their reliable Atlas V 401 booster to conduct the Orb-4 mission late this year. If everything goes according to plan, Antares will once again take to the skies in 2016, with a new engine – the Russian-built RD-181. Meanwhile, the company has made positive progress with its efforts to produce rocket engines and components made from the process known as additive manufacturing, more commonly known as 3-D printing. In an attempt to gain confirmation of the dynamics behind this layoff, SpaceFlight Insider reached out to Aerojet Rocketdyne for a comment; as of the publication of this article, no response has been received. Aerojet Rocketdyne is based in Sacramento, California, and is owned by GenCorp. The current organization is the result of a 2013 merger between Aerojet and Pratt & Whitney Rocketdyne. I would have liked to have some meat as to what has happened to “several events have transpired that appear to have altered the company’s trajectory.” Where do you see Aerojet in the short term? Does it have a long term? Good questions, Phillip. I wonder if they have the right expertise that someone else who is building rocket engines will try to acquire them. We’re the layoffs in Sacramento, LA, or elsewhere. Pretty short on details. Per the next-to-last paragraph: In an attempt to gain confirmation of the dynamics behind this layoff, SpaceFlight Insider reached out to Aerojet Rocketdyne for a comment; as of the publication of this article, no response has been received. Most people on Nasaspaceflight do not see Aerojet having a great long term strategy. Who will they building engines for in 2 – 5 years? NASA may need some for the SLS that will be flying at most once every 2 years. NASA may have enough original shuttle engines till 2020+. They do not build for SpaceX. ULA is going with Blue Origin. So all that leaves is 2nd stage engines….I would not be buying Aerojet stock….if anything I would be selling…. AJ/Rocketdyne is one the aerospace companies whose heritage includes saving the US years of rocket engine development time in WWIII, when Dutch Kindleberger put down his own company’s money in 1947, to build rocket engine test stands near Pasadena that could take engines with 2 orders of magnitude more thrust than the US was then firing. By 1949, those stands were testing the first Redstone engines. By now, AJ/Rocketdyne could not raise the money to do that if they wanted to. I doubt any banker alive has loaned money on private aerospace projects of that size and reach into the future. This lack of entrepreneurial ability is the result of 65 years of a Congress that wanted control of *who* the money went to, and was willing to pay for that control with taxpayer money, through cost+ contracts, and making long R&D contracts the core business of aerospace, instead of flying cheaper rockets. Yes, high-level managers went along with it. That does nothing to excuse government Representatives and Senators that no longer wanted entrepreneurs in aerospace. Too many still don’t. IMHO, the best thing any political grouping today could put in their Space campaign plank would be to relegate peacetime government aerospace spending on cost+ contracts to less than 10%. Add a demand for Space Act Agreements as the norm, and turning to anyone else would become actively painful to me. From what I understand, Orbital ATK is trying to blame Aerojet for the Antares mishap. when actually it was Orbital ATK who left the FOD in the fuel tank. I’ve yet to see anything conclusive about the root cause of the Orbital ATK Antares launch failure. Considering that there wasn’t much left after the impact and the fire, I’m not sure how anyone would conclude definitively why the engine failed. But in terms of appearances, it doesn’t look good, especially since this wasn’t the first AJ-26 failure. In 2014, an AJ-26 engine failed (a layman would say it exploded) on the test stand at NASA Stennis. Clearly the engine on the test stand did not fail due to FOD in the Antares fuel tank. Relying on cheap, surplus, Russian engines as the basis for the AJ-26 was penny wise, but pound foolish. Orbital ATK’s switch to the new Russian RD-181 may also prove to be unwise, given the track record of Russian launches combined with the unstable political situation with Russia. The 5 segment SRB is the most powerful booster on Earth at this time- especially used in pairs and even more so if the next iteration of Moon rocket uses quads. The RS-68A is the most powerful hydrogen engine. These two pieces of technology are incomparable but poorly utilized for space exploration at this time. The next President may change the direction of the space agency and then they would be used to full advantage going to the Moon. The message for commercial space is all bad; high altitude airship telecom platforms are poised to extinguish the satellite launch business. This is the dirty little secret nobody is talking about. With enough of these 100,000 foot platforms hovering for months at a time above the weather and relaying across the globe even GEO satellites become obsolete- and the expensive rockets that launch them. The message for human space exploration is go big or stay home. Due to radiation concerns Mars as the “horizon goal” is becoming a joke and due to the soon-to-come Zeppelin satellite apocalypse the only place rockets are going to need to go is the Moon. LEO is soon to be a worthless domain of no interest to anyone. What has always been missing from Human Space Flight Beyond Earth Orbit architecture is the “big dumb booster.” A pressure-fed 10 million pound thrust range booster built with submarine hull technology and recovered for reuse like the shuttle SRB’s. There was no military technology to build on to cut costs so this critical piece of the puzzle has never been developed. If companies like Aerojet, who pioneered super-boosters in the early 60’s, cannot get funding to build these necessary monsters then the future looks slow for space exploration. Even a quad SRB SLS type vehicle flying 6 to 8 times a year means slow progress on a Moon base. Considering what the military spends on their toys the U.S. could vastly increase the payload lift to the Moon with big dumb boosters. Aerojet needs to get funding for the biggest rocket booster ever. The Moon is waiting. Having know people who worked in the aluminum kite factory in Seattle the ups and downs of aerospace hiring and firing is not big news. Heppenheimer’s “The Space Shuttle Decision” devotes a whole chapter to describing just how bad those ups and downs can get. The problems start when an entire infrastructure like the NASA Heavy Lift and Hydrogen facilities are left to rot. Starting from scratch would entail huge costs and that is what the SLS is meant to avoid. Because sooner or later- if we ever want to go Beyond Earth Orbit again- we will need the SLS.